Last year in November of 2016, we brought you the news regarding the Armin Strom Mirrored Force Resonance Fire in 18K rose gold, the first truly Resonance timepiece in the market. Then six months later, in May of 2017, Armin Strom released their Resonance watch also in stainless steel. Well, today after the great success of the inaugural rose gold limited edition and the visually technical stainless steel edition, Armin Strom’s most innovative piece to date, will now be offered to collectors with superb, hand-executed guilloché dials, creating an outstanding synthesis of tradition and innovation —two values dear to the brand. Making an elegant return to traditional craftsmanship, with the introduction of exclusive guilloché dials. 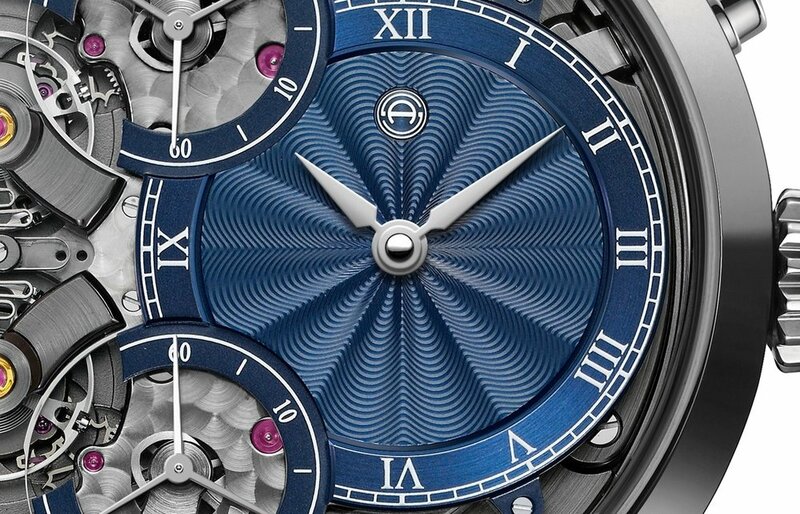 Creating a striking contrast with the high-tech movement, the guilloché dials will be available in multiple colors —blue, black, anthracite, red or bi-color—, and in several different pattern options —sun-ray, concentric waves or barleycorn—, depending on the client’s wishes. To ensure the best visual result and the highest level of quality, Armin Strom has teamed up with Master Watchmaker Kari Voutilainen for the creation of these guilloché dials. They are manufactured in his Môtiers-based workshop, on century-old engine-turning lathes, which can only be controlled by hand. The intricate patterns, obtained by chiseling a smooth metallic plate with extreme precision and care, are true pieces of art, reflective of the craftsmen’s skills and virtuosity. Considering the complex production process of these guilloché dials, an extra cost of CHF 5,000 will be applied to the standard retail price of the ARMIN STROM Mirrored Force Resonance in either 18K rose gold or stainless steel. Sticker Price CHF 72,000 Swiss Francs for 18K rose gold and CHF 59,000 Swiss Francs for stainless steel. 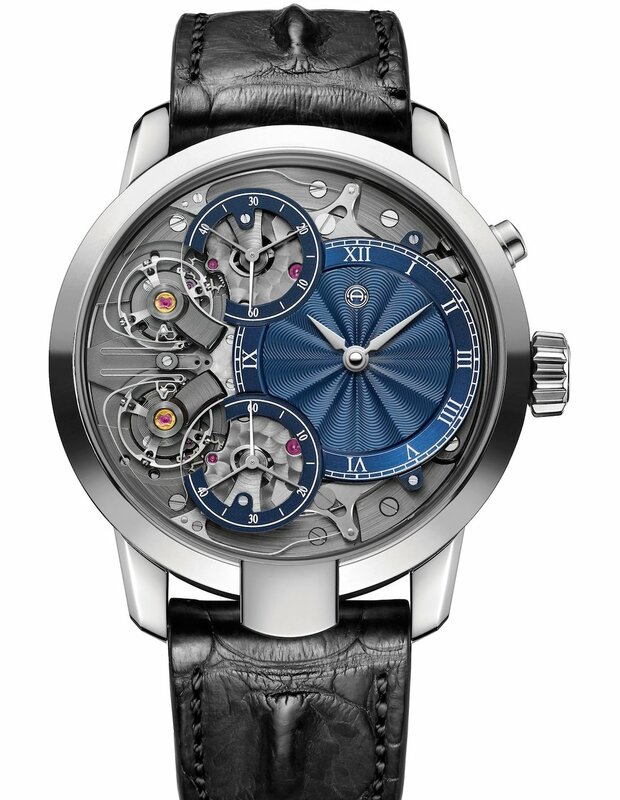 For more info on Armin Strom click here. Posted on December 28, 2017 by Editor & Publisher and filed under Armin Strom, News and tagged Armin Strom Mirrored Force Resonance with Hand Guilloché Dials Armin Strom 2017 Independent Brands Mirrored Force Resonance Mirrored Force Resonance Guilloché Kari Voutilainen Resonance Watches.